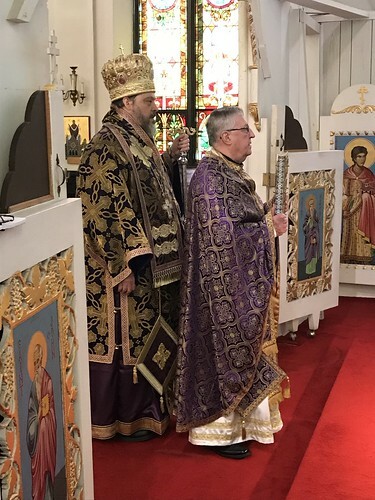 On Sunday April 14, 2019, His Eminence, Metropolitan Gregory made an Archpastoral Visitation to The Protection of the Mother of God Parish in Allentown. 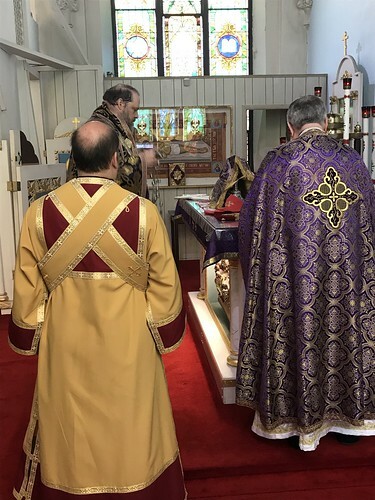 During the visitation, Very Rev. 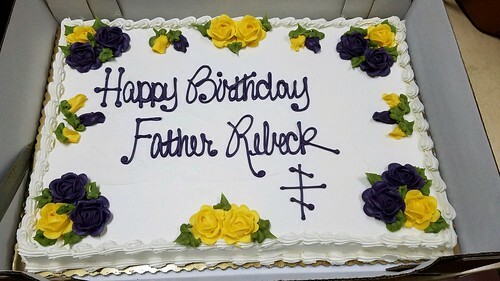 Protopresbyter Robert Rebeck was honored on the occasion of his 80th Birthday. 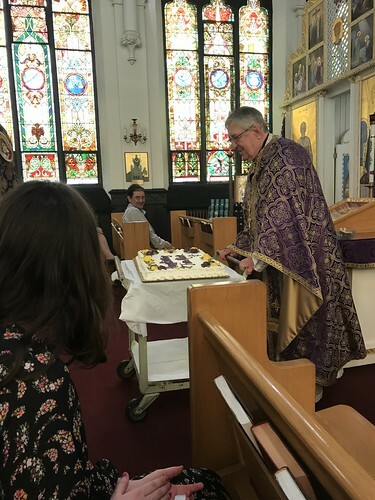 Posted Photos Show Scenes From The Archpastoral Visit. Bishop Gregory enters the Sanctuary during the Little Entrance. Preparing for the Great Entrance. 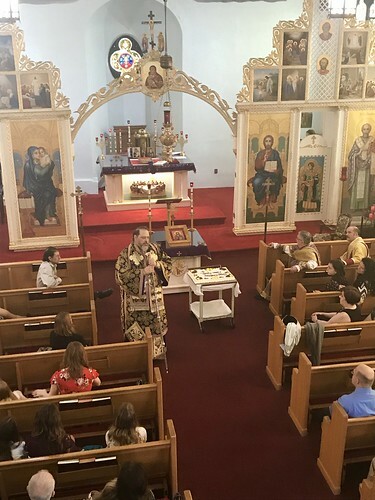 Metropolitan Gregory offering the homily. 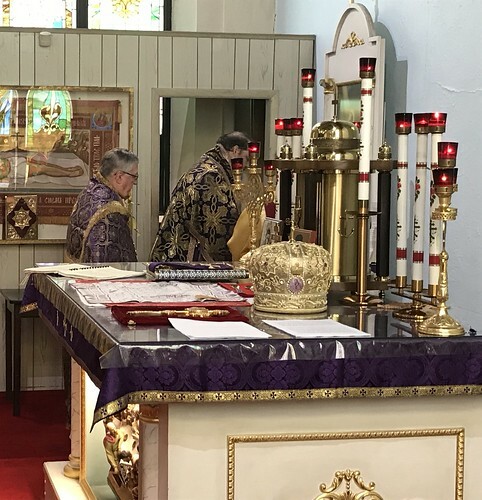 At the conclusion of Divine Liturgy, Fr. 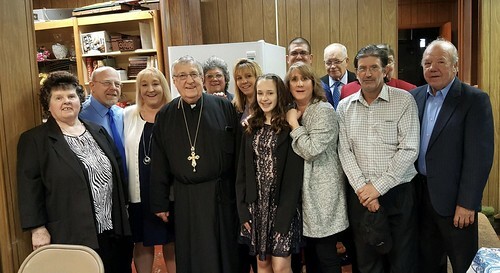 Robert was presented with a special surprise on the occasion of his 80th Birthday. 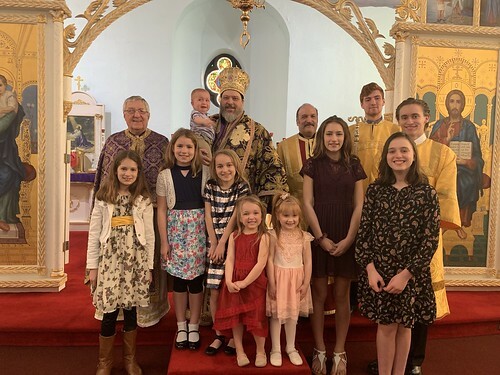 Parish youth enjoyed the photo op too! 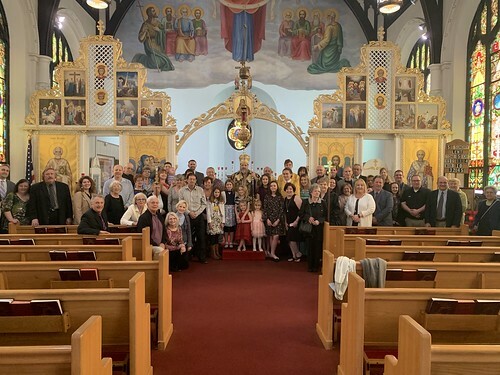 Parishioners, family and friends mark the day with a group photo. 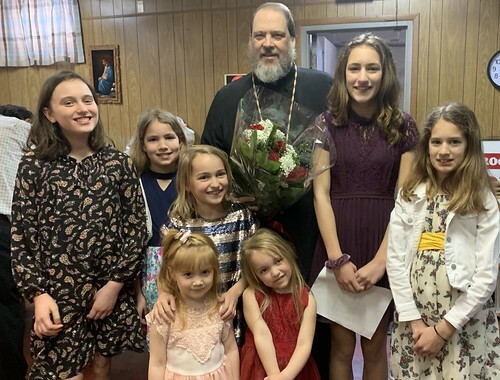 The children enjoyed the traditional presentation of roses to Metropolitan Gregory. 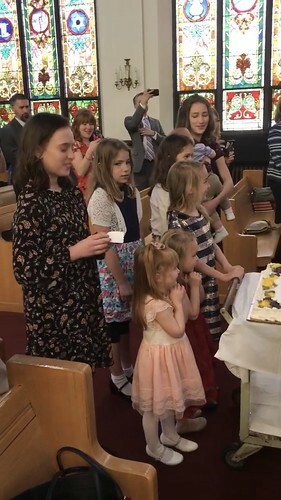 Father Rebeck's family joined in the day's festivities.